When Unesco gave special heritage status to Mexican and French cuisines in 2010, Peru complained, “hey, what about us?” Some observers chuckled. But after chef Gastón Acurio won the biggest accolade in the world of gastronomy this summer, no one is laughing anymore. Even the casual observer of the foodie universe can’t have missed Peru’s meteoric rise of the last several years: the global proliferation of pisco bars and cevicherias; the first Peruvian showing in the top five of the World’s 50 Best Restaurants list (by a chef who’s also earned a Michelin star in London and a Chef’s Table episode on Netflix); and, of course, the publication of the all-important Phaidon tome. And then, this summer, the godfather of the renaissance of Peruvian food got a serious endorsement. 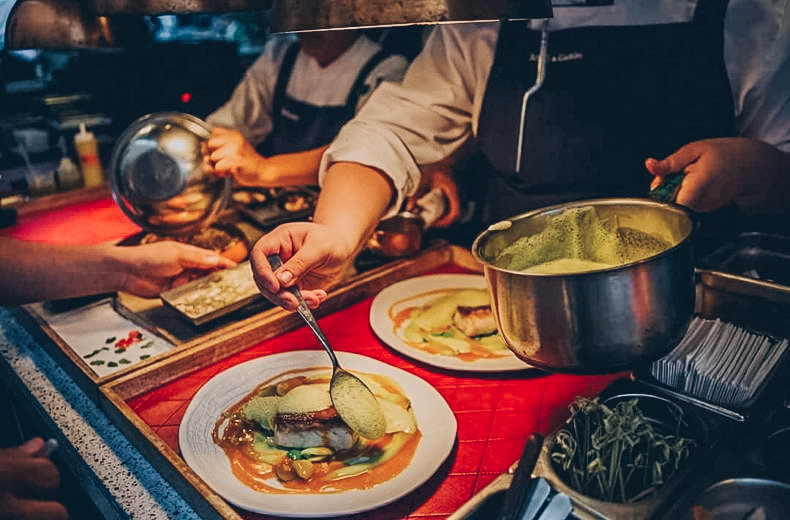 Peruvian chef Gastón Acurio won what is perhaps the biggest accolade in the world of gastronomy: the Diners Club Lifetime Achievement Award (previous winners include Alice Waters and Paul Bocuse). Acurio opened his flagship restaurant in 1994 with the basic idea that haute and indigenous cuisines weren’t mutually exclusive. Since then, he’s won “the hearts and stomachs of worldwide gastronomes with his unparalleled ceviches, his unique Peking-style guinea pig pancake and desserts inspired by his childhood,” among other accomplishments that landed him on the lifetime achievement roster. A globetrotting Peruvian food ambassador himself, Acurio has also mentored an entire culinary diplomatic corps: chefs who bring their own takes on the nation’s coastal, jungle and highland cuisine—with all its European, Chinese, African and Japanese immigrant influences—to the likes of Bali, Los Angeles and Dubai. So wherever you turn up in the world (and yes, especially Lima), you’re likely not far from their offerings. Peruvian food is so varied (there are thousands of species of indigenous potatoes alone) that as you’re getting to know it, you should do your taste buds the favor of genre-hopping. Here are three must-try dishes. 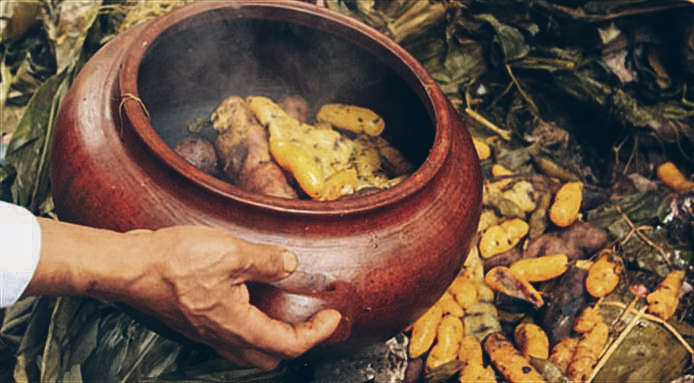 Perhaps the mother of all traditional Peruvian dishes is cooked in Mother Earth. Named Pachamanca – Quechua for “earth” (pacha) and “pot” (manka) – this pre-conquest Andean dish is made in a stone-heated earthen oven (the huatia) and typically involves any of a number of local potato varieties; local herb- and spice-marinated meats (chicken, pork, lamb, alpaca and guinea pig); beans, corn and tamales. While pachamanca is best eaten at a backyard celebration you stumble upon, you can also find rustic restaurants that serve up variations. Then there’s the bowl of tangy goodness that’s widely considered the national dish: ceviche (of course). In fact, so central is citrus-cured raw fish to Peruvian identity that Acurio kicks off his Peru, a Cookbook with no fewer than 50 recipes for the dish. 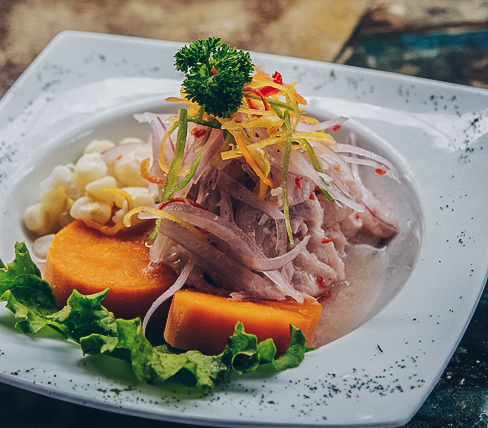 Though you’ll find as many iterations as Peruvian kitchens, the most typical ceviche blends leche de tigre (a “tiger’s milk” made of fresh lime juice, garlic, cilantro, ají limo, red onion and salt) with cubed white fish (fluke, flounder or sole) and sweet potato. Regardless of the particulars, leche de tigre is universally regarded as one of the nation’s best hangover cures—no small thing, after a night of pisco sours. The Amazon is home to one of humanity’s most versatile staples: yuca (also known as ‘cassava’). 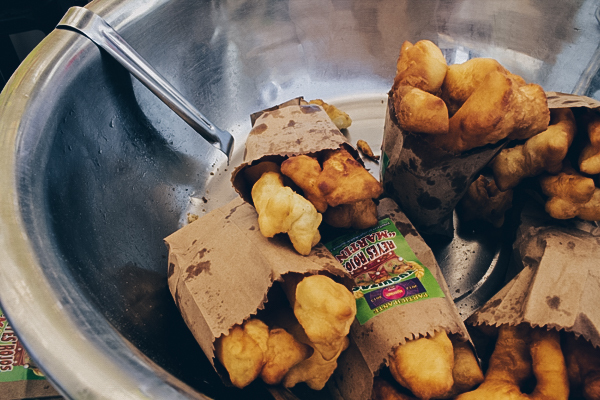 And though in and of itself, the starchy, tuberous root won’t do much for you, fry it just right and it becomes the hallmark Peruvian comfort food—and the perfect vehicle for the nation’s multitude of sublime sauces. If you dip in nothing else, don’t miss salsa de huacatay, a faintly minty—but generally indescribable—local herb that’s just life-alteringly good. Also worth exploring: Peruvian pepper sauces of varying levels of heat—as well as a creamy, cheesy huancaina sauce. Abbie Kozolchyk is a travel writer based in Long Beach, California. She’s previously written about Peruvian food for The New York Times and wrote National Geographic’s book The World’s Most Romantic Destinations. Virgilio Martinez’s new outpost, Mil, is above a remote Inca agricultural ruin in Peru’s Sacred Valley, where he focuses on high-altitude cuisine. Amazing. Seriously. Amaz is a yucca-, plantain- and coconut-forward Amazonian restaurant in Lima by acclaimed chef Pedro Miguel Schiaffino. Mitsuharu “Micha” Tsumura, the most celebrated of Peru’s Nikkei chefs, is the driving force and inspiration behind Lima's Maido. Oh yeah, and it currently ranks seventh on the World’s 50 Best Restaurants list. Kjolle is the highly anticipated first solo venture in Lima by chef Pia León, who’s co-run Central for years. She’ll still focus on exclusively native ingredients, but without altitude as an organizing principle—in fact, with almost no organizing principle beyond taste and beauty. Can't travel to Peru? That's OK. 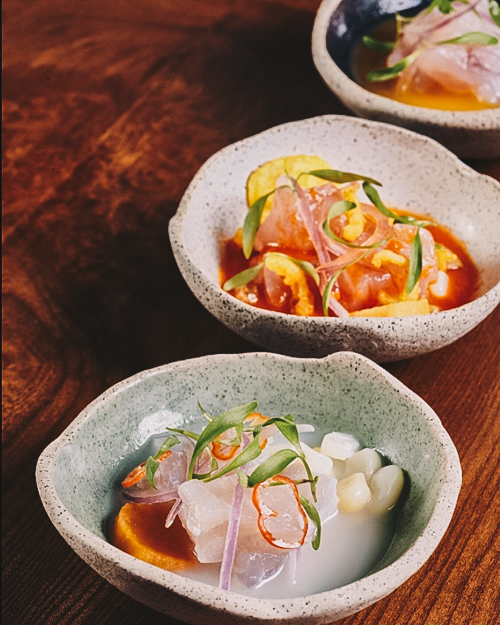 Try Austin's Yu Yo Peruano, where executive Chef Maribel Rivero—who’s worked with Pedro Miguel Schiaffino and Virgilio Martinez—applies her learnings to super tasty ceviches, anticuchos and Peruvian desserts (try the chica morada sorbet). In Portland, Oregon, Andina deliciously interweaves the ideas and techniques of both Criollo and Novo-Andean cuisines.